Today is the Winter Solstice and traditionally in the farming community, it was the last big feast before the lean winter set in. It is celebrated when the sun is at its most southerly point, away from the North Pole. The Winter Solstice has been an important day across the world for thousands of years, and in Scandanavia marks the 12 day Jul (Yule) celebration. Many Christmas traditions such as the Yule log and the Christmas tree were actually Pagan celebrations brought over from countries like Sweden, Denmark and Germany. 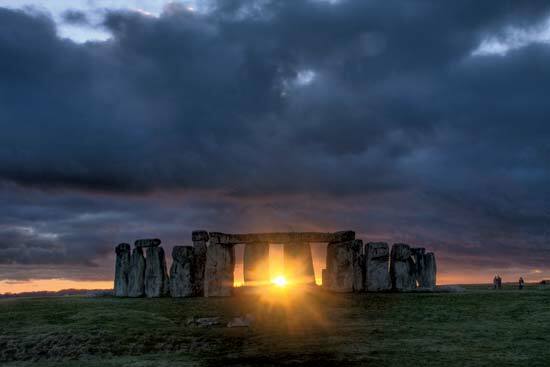 In Britain, Winter Solstice was a Druid celebration and people still visit Stonehenge in Wiltshire every year to celebrate it. It would coincide with a huge feast to mark the beginning of winter. This is the time of year that wines and ales would be ready to drink, and the livestock would be fat enough to slaughter and eat. As people didn’t have fridges or freezers to store food, they would fatten up for the winter and live on grains and other lean, easily stored food until the spring. Many believe that the feast of Christmas on 25 December, which by comparison is a relatively new celebration, is the evolution of the Winter Solstice feast started by our ancestors. From today, the days will begin to get longer again until 21 June, which is the Summer Solstice and the longest day of the year.